Is this the end of the political road for Forest Gate’s Gerard Batten? Wee Gerry has been an MEP since 2004 and is the only UKIP member for London. But the recent re-selection process has seen him relegated to second place on the candidates shortlist for next year’s european elections. UKIP has never had 2 MEPs in London, so second place is as good as nowhere. 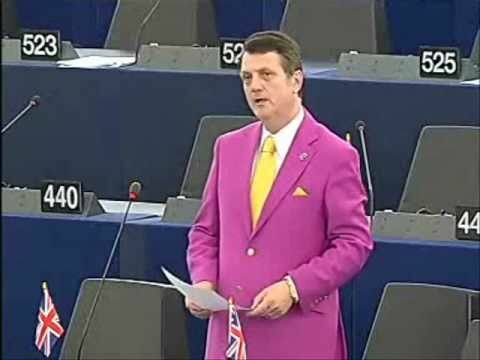 The final order of the list is up to a vote of the assorted fruitcakes, loonies and euro-obsessives that make up UKIP’s membership, but the recommended order is a big slap in the face for someone who runner-up in party’s leadership election just four years ago. However, losing is nothing new for Gerry Batten. He has a long history of electoral failure and is clearly immune from embarrassment. In 2008 he was UKIP’s London mayoral candidate. He finished a dismal 7th, securing just 0.93% of the vote. Even Alan Craig of the Christianist Peoples Alliance did better! Newham voters with very long memories may also remember him from the 2002 local elections. He stood in Forest Gate North, coming bottom of the poll with a paltry 233 votes. That, though, was a big improvement on his previous showing. In 1993 Batten contested the Park ward by-election on behalf of the Anti-Federalist League. He collected all of 75 votes. Defeat in 2014 will just be a return to normality for Gerry.